As we get into April and the days start getting longer and warmer, the signs are all pointing to one thing – winter is finally here. For Game of Thrones fans, the Long Night is over. After an absence of nearly 20 months, HBOs smash-hit epic returns to our screens this Monday. Fans around the world have spent the last two years picking through the books and old episodes for any hint of what may be to come – with theories ranging from the outrageous to the downright infuriating driving heated debate online. In anticipation of the release of the final season of Game of Thrones, we asked some of the Newstalk team about their favourite characters on the show. One thing is for sure, it is time to gear up for battle. The series has already thrown up some of the most memorable fight scenes in cinematic history and, if rumours from the set are anything to go by, we are about to be treated to the mother of them all. We ask the people of Newstalk what their most memorable #GOT moment was over the last 7 seasons. Hundreds of people spent 11 weeks shooting the ‘Battle of Winterfell’ in Northern Ireland last year and with director Miguel Sapochnik – the man behind ‘Hardhome’ and the ‘Battle of the Bastards’ – at the helm, it is sure to be an episode for the ages. The battle is expected to play out over a mammoth hour-and-a-half episode in the middle of the final series. With just six episodes in total, the coming weeks should finally answer some of the questions the most dedicated of fans have been asking since the first books were first released in the 1990s. As the white walkers begin their long march from the north, just how deep will Cersei’s treachery go? Where lies the rest of the Lannisters’ loyalty as Jaime abandons his sister and heads north to join Tyrion in battling the Army of the Dead? Will the Mother of Dragons’ incestuous union with the White Wolf bring glory or abomination to Westeros? Will fans finally be treated to the fight of the ages as the Hound faces off against the Mountain in the ‘Cleganebowl’ we have all been waiting for? What next for the Stark sisters? And has Bran’s transformation from Stark to Three-Eyed-Raven left him more changed than any could have predicted? All will be revealed this Monday on Sky Atlantic.  The Newstalk team talk about their least favourite characters on the show. In the meantime here is a look back at Newstalk presenter Sean Moncrieff's visit to the 'real world Westeros' in Northern Ireland earlier this year.